More options, more compassion, more convenience – the Turning Point Pregnancy Resource Center’s (TPPRC) mobile pregnancy clinic is available at two locations in the Clairemont area. For more than 15 years, TPPRC services have assisted thousands of women in the greater San Diego County region. With our Mobile Pregnancy Clinic, we’re in a better position to offer vital free medical services for women facing an unwanted pregnancy, coupled with the unconditional love and unyielding support that so many women deserve. Located just 3 miles apart, each Mobile Pregnancy Clinic is easily accessible from anywhere in the northern San Diego suburbs. If you’re too late for the Del Taco location, simply swing south on Clairemont Drive a few miles to Clairemont Village – you can’t miss us! Best of all, all of the services at the Turning Point Mobile Pregnancy Clinic are absolutely free for any woman in San Diego County. 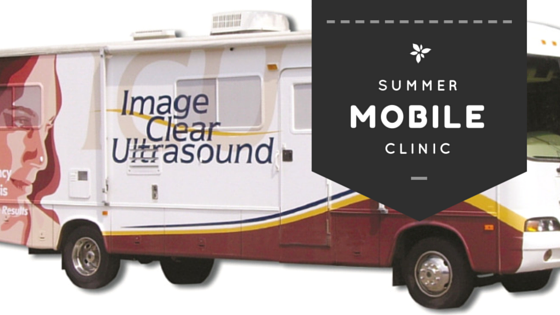 You’ll receive the same complete line of crisis pregnancy services at our mobile clinic that you would at our main office, located at 7340 Miramar Rd #204, San Diego, CA 92126. To further expand our scope of services, we’re also working with Birth Choice San Marcos on Wednesdays during the summer. Our collaboration with Birth Choice San Marcos will focus on offering the same quality early pregnancy services in North San Diego County as they do at our Clairemont locations. For more information about TPPRC, or to learn more about our Mobile Pregnancy Clinic, please call our main office at 858-397-1970. We look forward to speaking with you today. Remember – when you think there’s no place left to turn…Turning Point is here for you!